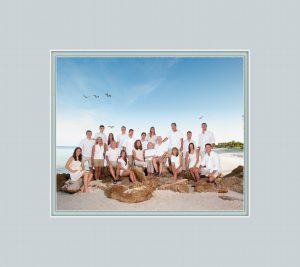 The premier portrait studio in Fort Myers and Naples. We are an award winning photographic studio specializing in families, high school seniors, pets and school portraits. Your family is the most precious part of your life. Capture the beauty of the love that is your family. Let us make the memories that you will cherish for future generations. Do you want a traditional studio portrait? Hoffman Fine Art Portraits is located in a beautifully appointed 2200 square foot studio. We have what it takes to make you and your family comfortable during your family portrait session. Fully furnished dressing rooms and lots of space to spread out and relax. Don’t want a studio portrait? We have some of the most beautiful beaches in Florida. Even on location we will bring our studio lights. Yes, we will get sand in our gear but it is more important to us to get you a quality family portrait that is well lit and beautifully posed.